I’ve come a long way in the last 10 years, but for most of my life I’ve been terrified of animals. I do blame that last one, in part, on Alfred Hitchcock. One of the worst situations with birds for me was being in a car with the windows down while birds flew around outside. The weirdest part is that I had pet birds! And I was afraid of them -_- Go figure. Files from SilhouetteCameoFreebies.com are free for your personal use. 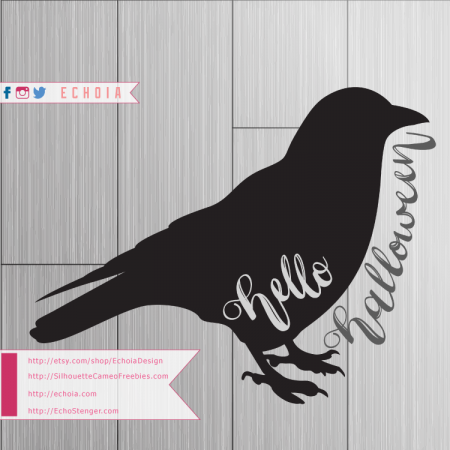 If you would like to use them for items you sell, please purchase a license at EchoiaDesign on Etsy, or go directly to this file at Hello Halloween Crow.